When choosing your “parenting skills”, I would suggest that the ability to fall asleep quickly is up there at the top. 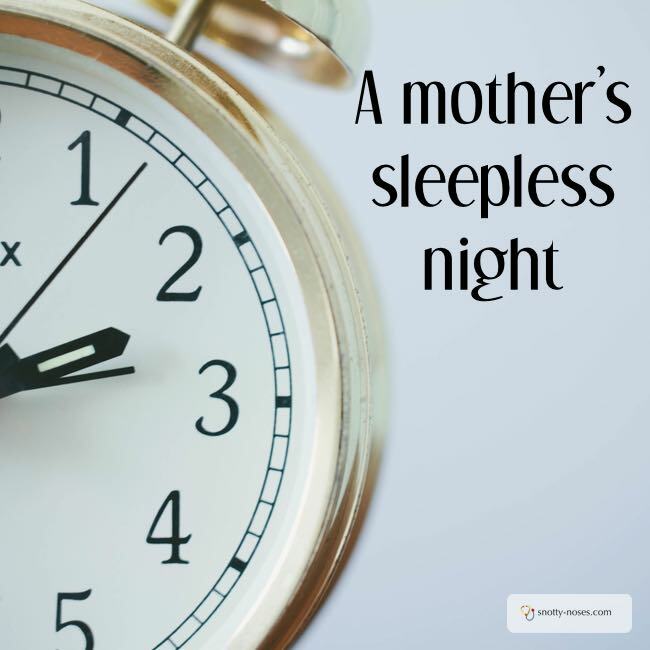 Nocturnal activities are a normal part of parenthood (and I’m not talking about the fun, in between the sheets type) so going straight back to sleep is a good idea right? Sadly, it’s not a skill I possess. My husband, however, is another story. 11pm. I turn the light out and give my husband a good night kiss. I lie awake for a while. Random thoughts swirl around my head. I try to push them away. What should we have for dinner tomorrow? I MUST remember to email my sister. My toe still hurts, I wonder if I should go and see the doctor. A faint fuzz of breathing. That slow and regular sound of sleeping. I am jealous. Why can’t I just turn my brain off? Why do we eat pizza from the inside out? Where did all the dinosaurs go? Seriously, what shall we have for dinner tomorrow? 11.50pm. Sebastian cries out. He has lost his pillow. Or more accurately, given that his pillow is in its original position, his pillow has lost him. I straighten him out, give him a cuddle and return to the safety of my warm bed. Right, let’s concentrate on going to sleep. 12.10 am. Sebastian cries out again. I go and offer him a glass of water, reminding myself that birthday hamburgers are never a good idea, the kids always get thirsty in the night. Back to my snuggly warm bed. Those random thoughts sneak back in. I finally drift off to sleep. 1.20 am. One of the boys gets up to go to the toilet and get a glass of water. I stay in bed. AWAKE! Husband fast asleep. 2.15am. The light in the hall goes on and the door is flung open. Celeste marches in and jumps into bed. She thinks it’s morning. I take her back to her room, find her a new nappy (she’s taken it off and put it in the dust bin), settle her down and return to that warm haven I call bed. Husband appears to be in a coma. 5 am. the other ‘big boy’ gets up to go to the toilet and get a drink of water. I do that whole attempting to go back to sleep again. 7.20 am the alarm goes off.